Power Rangers Turbo is the fifth season of the Power Rangers series of children shows. An evil space pirate named Divatox has come to Earth with her crew in order to destroy everything, and four teenagers, plus one child, must stop her. Armed with Turbo power, they must fight countless monsters to protect the planet as the Power Rangers Turbo. The Rangers will use a variety of high-tech weaponry, such as swords, blasters and even giant, man-operated vehicles called Zords, to eliminate whatever creature Divatox sends their way. They meet new allies along the way, such as the Blue Senturion and Phantom Ranger, who help them to defend the planet. The Power Rangers have to keep their identities a secret from the rest of the world and therefore must juggle the responsibilities of being a Power Ranger with the duties of a regular teenager such as classes and after school activities. In their civilian lives, they learn many life lessons about things like friendship, trust, teamwork and doing what is right. The series stars Jason David Frank, Johnny Young Bosch, Blake Foster, Catherine Sutherland, Patricia Ja Lee and Selwyn Ward, among many others as the titular Power Rangers. It also features Paul Schrier and Jason Narvy star as the comedic Bulk and Skull, respectively. The villainess, Divatox, was played first by Carol Hoyt and later by Hilary Shepard Turner. The series originally ran from 1997-1998 on the Fox Kids Network. Each of the season's 45 episodes lasted approximately 21 minutes and fit into a half-hour time slot. The series had a change of cast early in the season, replacing long-time Rangers that had been in previous seasons. The series is owned and distributed by Saban Brands LLC. The remaining Power Rangers blast off into outer space to try to save Zordon. Justin faces the possibility of having to move away. Against overwhelming odds, the Turbo Rangers charge into their final battle. T.J. tries to help Bulk and Skull find out who is raiding Angel Grove for spare parts. Cassie and Ashley compete for the new kid in school's affections while Porto pilots the Shark Zord into battle. Justin is given superhuman strength when a radioactive ant bites him. Meanwhile, Divatox pilots the first of her Divazords into battle against the Rangers. An encounter with a mutated lunar bat leaves Carlos with an aversion to sunlight and a powerful thirst -- for blood! T.J. needs to learn how to hit a curveball if he's going to save his baseball team's chances of victory as well as the world. As Elgar repairs his Zord, Cassie loses her dog, Jetson, but meets a mysterious new friend who knows her better than anyone. When Carlos injures a rival, even he isn't sure if it was really by accident. Cassie's new rock band turns out to be more than she bargained for. T.J. meets a mysterious young boy named Erutan in the forest. Ashley finds her auto mechanics class more difficult than she'd anticipated. The Torch Tiger steals the Turbo Rangers' superfuel, turning him into an arsonist nightmare. The Rangers and Divatox continue to search for the missing magic coin. Divatox orders the Wild Weeder monster to turn the citizens of Angel Grove into Divadrones to find the coin, with the help of the evil Blue Senturion. Bulk and Skull learn about the coin and decide to do the right thing and return it to Justin, who uses it to send the Blue Senturion back to the good side. Justin's lucky coin is stolen by the Wicked Wisher monster, who takes it to Divatox with the two others he has stolen. When Divatox uses a coin to wish that the Blue Senturion become evil, he does! Elgar blows one wish on himself, and when he accidentally throws the last coin off the Space Base balcony, it is Bulk and Skull who find it. The Rangers realize that they must find the missing coin to cast off the Blue Senturion's evil spirit for good. When Cassie and Ashley take tennis lessons from Bulk and Skull, Divatox sends Flash Head down to morph the Rangers into film reels. Meanwhile, Justin is shocked to learn that Ashley has wires in her arm and suspects that she is a robot. When Justin later discovers that Carlos is also a robot, T.J. explains that Alpha 6 and Dimitria created robotic Ranger doubles, including a robotic double of Justin, to see if they could battle the forces of evil as well as their human counterparts. When the Rangers find the Phantom, they discover that in order for him to live, they must retrieve his Power Ruby. Divatox uses the Power Ruby to infuse the Turbo Megazord with her negative energy. The Rangers try to draw the Space Base to Earth with a magnetic beam, but Divatox sends the Crosspatch Monster with the reprogrammed Turbo Megazord to wreak havoc on Angel Grove. Later, T.J. retrieves the Power Ruby and overpowers Crosspatch. The Megazord is finally restored and the Rangers return the Phantom Ranger's Power Ruby to him just in time to save him. Intent on destroying Angel Grove, Divatox sends Metallasaurus into town. The Rangers leap into action and summon the Turbine Laser, which has little effect on Metallasaurus. Suddenly, the Phantom Ranger appears and leads them to their only hope, the Rescue Zords. With the Phantom's help, the Rangers drive their new Zords to face Metallasaurus and are able to turbo-boost him into deep space. But there is more work to be done - Divatox still has the Turbo Megazord. Divatox plans to freeze the sun with her icy Freeze Key, but fortunately T.J. overhears her plans and alerts the others. The Rangers use the Turbine Laser to stop the key before it reaches the sun. A furious Divatox counterattacks with the Clockster, a monster capable of altering time and almost freezes all of them in time. The Blue and Green Rangers escape the clutches of the Clockster, and together with the help of the Phantom Ranger, the other Rangers are saved. Once again, Divatox loses. The teens are at the Youth Center when everything around them vanishes. Divatox's new monster the Translucitor, has been sent to make Angel Grove disappear - along with the Power Rangers. The Rangers are attacked by invisible Piranhatrons, and the mysterious Phantom Ranger comes to their rescue. Then Translucitor appears and makes the Red, Blue and Green Rangers disappear, but the girls use their Turbo Navigators to find their missing comrades and restore order in Angel Grove. Justin's friend Nico finds a spaceship and shows it to him, swearing him to secrecy. Meanwhile Divatox sends Elgar, Rygog and Porto off to rob a bank. When the Rangers arrive on the scene, the situation has already been handled by a mysterious Phantom Ranger. In an effort to lure the Phantom, Rygog plants a detonator by the spaceship and captures Nico. The Phantom Ranger abandons the spaceship, saves Nico and then disappears as mysteriously as he appeared. Justin and T.J. watch as two amazing vehicles, the Lightning Cruiser and the Storm Blaster, blast down to Earth. Divatox sends Elgar and Dreadfeather to get the cars, but the mysterious cars flee from them. Unfortunately, Dreadfeather and Elgar eventually capture Justin and the Storm Blaster and hold them captive in a warehouse. Suddenly, the Lightning Cruiser crashes through a window with T.J. and rescues them! The other Rangers appear to fight off the Piranhatrons and Dreadfeather. Ashley is worried that she is losing her sense of style when she is approached by fashion goddess, Delisha Ennevil, who happens to be Divatox's Stitch Witch. She poisons the jackets that Ashley made for her with chemicals that force everyone in Angel Grove to argue, including the Rangers and the Blue Senturion. Ashley realizes that the jackets are the cause of everyone's anger and tells the other Rangers to take off the jackets in order to defeat the Stitch Witch. While Tanya, Justin and Adam face the Flamite Monster, T.J., Cassie and Katherine fend off the Piranhatrons. Tommy is captured by a Putrapod and taken to the cave of doom, but fortunately T.J. and Cassie find him just in time. Flamite is defeated by the Turbo Megazord. Back in the Power Chamber, a secret mission unfolds. The Ranger teens have chosen successors to take their places as Power Rangers so they can move on to other challenges. T.J. becomes the new Red Ranger; Carlos, the new Green Ranger; Ashley, the new Yellow Ranger; Cassie, the new Pink Ranger; and Justin remains the Blue Ranger. Divatox's mother, Mama D, tells her that to get rid of the Power Rangers, she must eliminate their leader. She then sends Piranhatrons to ambush Tommy and Katherine on their way to a camping trip and sends the Flamite Monster with a Putrapod to detain the others. Two teens named Cassie and T.J. meet on a bus traveling to Angel Grove and, realizing that Katherine and Tommy are in trouble, they help them. Tommy gets injured in the fight while the others continue to fend off the Piranhatrons. Much to their horror, the Rangers realize they are quickly turning into bugs. They are soon engaged in a harrowing chase through the Subcraft, where they dodge Divatox and her henchmen and manage to escape on a torpedo. Then it explodes, the Rangers and Blue Senturion grow back to normal size and triumph over the monster. The Ranger teens are involved in a recycling contest. Divatox sends the Shrinkasect Monster inside the Blue Senturion's helmet, causing him to go crazy. Meanwhile, Bulk and Skull unwittingly get a hold of a detonator and borrow Lieutenant Stone's car for a joyride. The Rangers open their friend's helmet and free Shrinkasect, who flies out, grows to full size and shrinks the Rangers and the Blue Senturion. Elgar brings the shrunken Rangers to Divatox, where they discover they're turning into insects. Katherine auditions for a position in the Royal Academy of Dance along with Lieutenant Stone's unfriendly niece, Jenny. Meanwhile, a monster calling himself Wolfgang Amadeus Griller approaches Divatox and tells her that he can make any object come alive. She then sets a plan into motion to create chaos at the tryouts. Even with all of Divatox's monsters out in full force, the Rangers defeat them with the Turbo R.A.M. and rush back to get rid of the detonator at the dance hall just before Kat's audition. Adam coaches the Angel Grove High soccer team and finds that Carlos, a talented yet headstrong player, doesn't know the meaning of teamwork. The team must defend themselves from Divatox's Piranhatron, giving her a chance to rig the scoreboard, which is set to explode at four goals. The Blue Senturion arrives to help the Rangers and together they defeat the Electrovolt Monster. The Rangers rush to the game and Justin disarms the detonator in the scoreboard just before Carlos makes a winning pass for Angel Grove. The Blue Senturion's spacecraft is intercepted by Divatox before the intergalactic peacekeeper can get a message to Dimitria. Divatox tricks the Blue Senturion into believing that she is Dimitria, so he will play the Millennium Message for her, which states that the world's dark forces will unite at the millennium and only one force can stop them. Back at the Power Chamber, the Rangers find that the Millennium Message has been damaged and are dismayed that Divatox has this information instead of them. Divatox sends Piranhatron all over town to set off false alarms, creating chaos in Angel Grove. Justin is harassed by bullies at school and uses his Ranger powers to elude them, but Katherine suggests he try to speak to them instead of misusing his powers. All of the false alarms distract the Rangers from Divatox's newest detonator, which explodes on a fire truck, turning it into the Blazinator monster. As usual, this is no match for the Power Rangers, who destroy the monster with their Auto Blasters. Divatox and Numbor, who has the ability to change the weight of anything, plot to turn Angel Grove into the next Atlantis by making it sink into the ocean. Meanwhile, Katherine wins the leading role over Myrtle in "The Nutcracker," who then teases Katherine about her weight. Dimitira helps Katherine realize that inner beauty is more important that her weight, thereby breaking the Numbor's evil spell. Divatox launches torpedoes to make the monster grow but the Power Rangers destroy him in their Megazord. Back at the beach, Kat uses her Auto Blaster to destroy the detonator. Adam and the gang walk like Egyptians for a stunt show, which reminds Divatox of her nasty Pharaoh-boyfriend from the past. She bullies the Pharaoh into planting a detonator in Angel Grove's amusement park. Adam accidentally takes Pharaoh's magic staff, thinking it's a stunt prop. The staff causes every sign Adam passes to turn into Egyptian hieroglyphics! The Rangers are finally able to zap the detonator and everything returns to normal. The Mouth Piece Monster zaps Justin with the Deception Blaster, which makes him lie about everything and with each lie comes a Piranhatron. Tanya and Katherine know that something is wrong with Justin and take him to the Power Chamber to consult with Dimitria. Mouth Piece zaps the other Rangers with the Deception Blaster, causing them all to lie and create even more Piranhatrons. At the Power Chamber, Dimitria gets Justin to tell the truth with a tricky question that breaks the spell and frees Justin to help the others. Justin is upset when he thinks his friends have forgotten his birthday. Divatox sends the Big Burpa monster to add a big bang to Justin's birthday. He is thrilled to find a birthday bicycle, which takes him for a wild ride. The Rangers chase him around town and Tommy finally gets him off the bike just before it explodes! Justin is happy when the Rangers throw him a big surprise birthday party - and his father shows up. Adam is part of a 50s-style stunt show modeled after "West Side Story." During practice, an argument erupts among the cast and they decide to settle their differences with a car race. Divatox takes advantage of the situation by sending armed Speed Demons down until the Rangers join forces to form the Turbo Megazord. During the race, the Green Ranger realizes there's a bomb inside Rob's car and manages to deactivate it with only seconds to spare. The cast realizes that arguing is a waste of time and decides to pull together for the rest of the production. While gearing up for the Soap Box Derby, Justin's car is hit by Warren, a big bully. Meanwhile Porto, one of Divatox's monsters, rampages through Angel Grove, forcing the teens to morph right before the race. Although Justin is disappointed over missing the race, he knows that his Ranger duties are more important. Porto disappears before the Rangers' eyes, and Divatox becomes even more determined to finish off the Rangers. Visceron tries to transmit an urgent message to Dimitria via Tanya's radio station. Intent on intercepting the message, Divatox, Dimitria'a archenemy, plants a detonator on the station's transmitter. When Visceron is captured and refuses to talk, they turn him into a jokester to help her divert the Power Rangers. The bomb explodes in Visceron's hands, transforming him back to his former self. Dimitria uses her special powers of love and friendship to heal Visceron's wounded hands. Divatox's new follower, the Chromite, bullies the teen Rangers until they morph into Power Rangers, just as Chromite hoped. Chromite uses their morphing beams to clone them into Shadow Rangers endowed with Turbo powers. Tanya, Kat and Adam are captured by their clones, but Tommy discovers that when they are deprived of light, they disappear. He defeats the Shadow Rangers by luring them into the shade and then he rushes off to rescue the other Rangers. Alpha and Zordon are monitoring a hole that will lead them home to planet Eltar. Divatox and her gruesome gang attempt to collapse the hole while they are inside, but they manage to escape in time. The great wizard Lerigot arrives in Angel Grove to visit Alpha and Zordon and to see the Power Rangers graduate from high school. Justin scores genius level on his I.Q. test and is told he'll be attending Angel Grove High School. Alpha and Zordon leave just as Alpha 6 and Dimitria, two more forces of good, arrive. In a race against time, the teen Rangers rush out of their graduation ceremony to assist Justin who is battling Divatox's powerful Piranhatrons. The Rangers use the Turbo Navigator to locate the bomb. Zordon sends a Robotic Arsenal Mobilizer (R.A.M.) to remove the bomb from the scene just before the blast knocks rocks to the ground. The Rangers return to their graduation ceremony at Angel Grove High just in time for Katherine to make her speech. 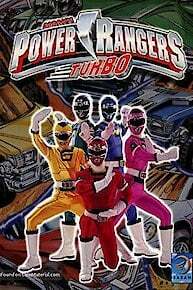 Power Rangers Turbo is currently available to watch and stream on Saban. You can also buy, rent Power Rangers Turbo on demand at Netflix, Amazon, iTunes online.